Lent is just a few days away, and I often need to be reminded about the spirit of Lent. 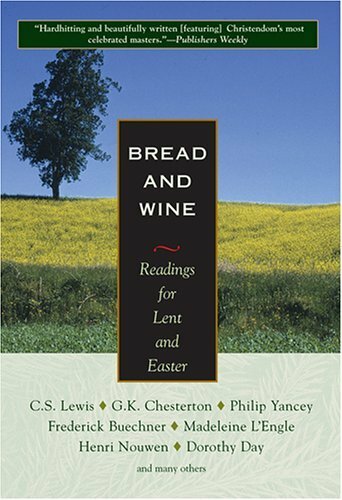 Each year, my husband, James, and I read through a devotional called Bread & Wine: Readings for Lent and Easter. Here are five helpful points that the editors of the book have laid out for the reader—reminders that I hope will be helpful for you, too. 1. Lent (literally “springtime”) is a time of preparation, a time to return to the desert where Jesus spent 40 trying days readying for his ministry. 2. First popularized in the 4th century, Lent is traditionally associated with penitence, fasting, almsgiving and prayer. 3. It is a time for “giving things up” balanced by “giving to” those in need. 4. Yet, whatever else it may be, Lent should never be morose—an annual ordeal during which we begrudgingly forgo a handful of pleasures. For those of you who are planning on joining with us in the Save a Drink, Save a Life Campaign during Lent, let us make the spirit of Lent to be that of faithful practice tied with joy!